Come see all the wonderful handmade items our team Old Farmhouse Gathering has made by using "OFG TEAM" as your search words at www.etsy.com. 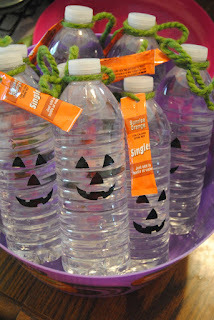 Whether you are having a classroom Halloween party or a party at home, these cute water bottles will brighten up your food table. You can find this idea and other on Flipflopping Mama by clicking on the photo above. 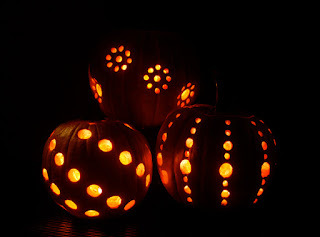 This is a little different subject than I usually post about, but since Halloween is just a few days ago and I saw this posting and loved the look of the pumpkins that I thought I would share it with you. 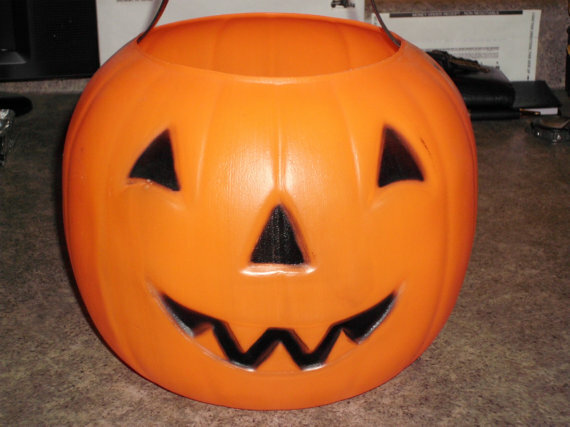 Wish we would have thought of this when my kids were home although my hubby was pretty good with carving really neat pumpkins with a knife. Hope you enjoy this tutorial from The Garden Glove. Pumpkins are a big part of the Halloween scene and this one from Bseron shows kind of an eerie one. And then there are the witches. 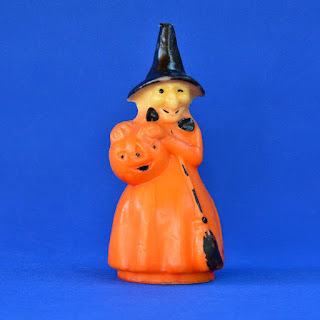 Halloween is all about witches. They can be scary or they can be friendly. This one from backstashandbygones shows a friendly cute candle. Then there is the traditional Trick or Treating candy holder....yep.....the ever faithful pumpkin bucket. 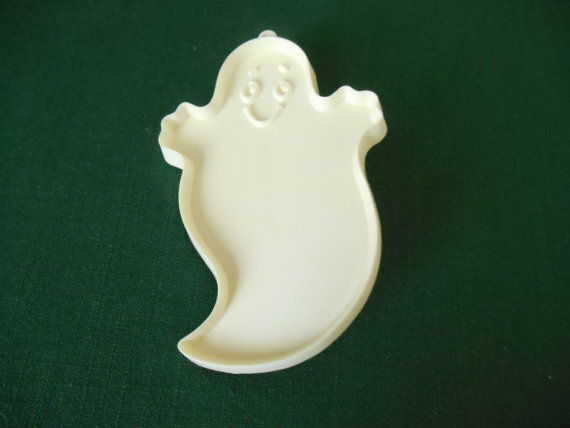 I remember these and my kids had them. How about yours? 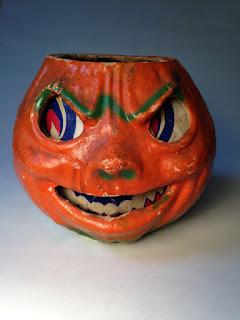 You can find this one at Yesteryearshop. 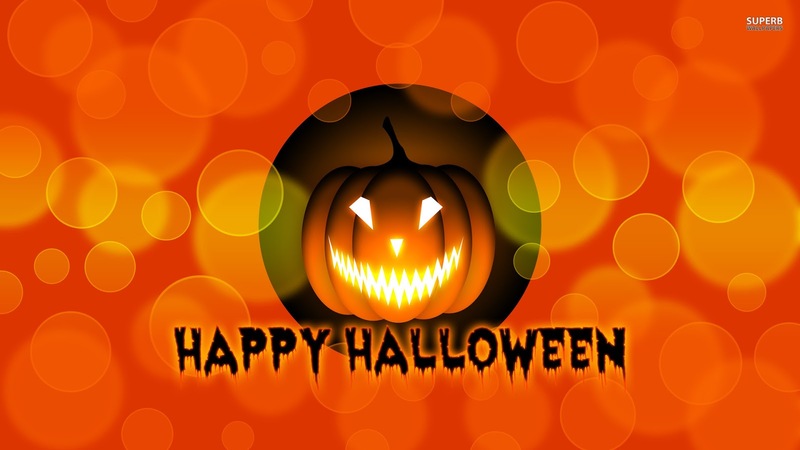 Halloween is always a fun time of year with all the parties and dressing up. Wish my kids were still around so we could do costumes again. Or maybe I should come out of retirement and go back to work because we use to always dress at work for Halloween....no....don't think I will go that route again. HA!HA! 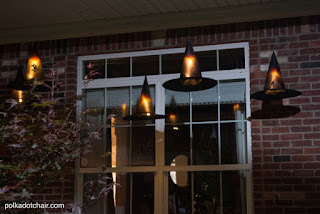 Wouldn't these look fantastic hanging outside on your porch Halloween night? 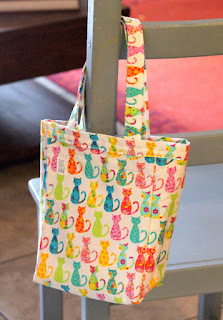 Melissa of Polka Dot Chair has the instructions posted on her blog. Simply click on the photo above for the tutorial. Our Featured Artist this week is Claire, owner of Puppy Pawz Boutique. 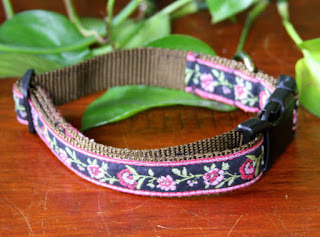 Claire's shop is home to quality dog collars, bandanas, leashes, pillows as well as other wonderfully handcrafted items. She handcrafts each item with love and uses only high quality materials. 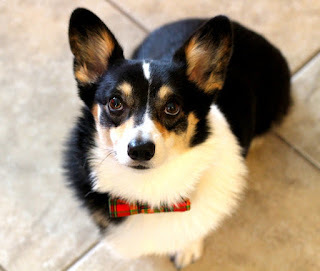 Claire is inspired by her three corgies, LuLu, Flynn and Luna as well as her two cats, Shadow and Maxie. To visit Claire's Puppy Pawz Boutique, click on any of the photos below. Yellow and brown ceramic statement necklace.